One question I get asked over and over again…Do I need to eat breakfast? We’ve grown up with the notion that we should eat a hearty breakfast, “Breakfast is the most important meal of the day” and you should “Breakfast like a king” are common sayings we’ve become accustomed to. We’re told that eating breakfast sets your metabolism for the day and reduces your hunger but the messages can be conflicting; on the one hand some suggest that eating breakfast encourages your appetite and the cravings are kicking in soon after breakfast. Whilst others report that skipping breakfast will make you gain weight as it sets the scene for constant eating later in the day. If we consider our ancestor’s lifestyle, these hunter-gatherers would only eat when food was available and certainly not on demand as is often the case nowadays. With the rise in popularity of Intermittent Fasting, the notion of going for longer periods without eating is becoming widely accepted. 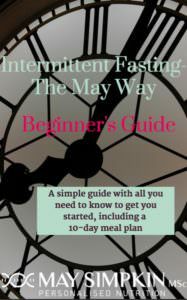 The research into Intermittent Fasting concludes that not only is it better for your health but it is also a very effective weight loss tool. By restricting eating to around 8 hours in the day, with the remaining 16-18 hours fasted, the body is forced to use it’s fat stores for energy, resulting in weight loss. However, many reports widely popularised by the media suggest that “eating breakfast leads to weight loss”. In fact, it is probably fair to say that there is an association between those with a lean body type and eating breakfast but this association is not definitive… after all, correlation does not imply causation and it may be that those who eat breakfast are also those who are more health aware and focus on a healthier diet and lifestyle in general. So, whilst they may be lean, it may not be because they eat breakfast. They may be lean, it may not be because they eat breakfast. It is also worth noting that many studies that come to this conclusion are often backed by breakfast cereal manufacturers and of course it is in their interest to promote the theory that eating breakfast leads to weight loss. Taking a closer look at the research, the results of one particular 1992 study confusingly showed that those who habitually skipped breakfast tended to achieve more weight loss when they ate breakfast but also, those who habitually ate breakfast also did better when they skipped breakfast as part of the trial. In other words, both groups had to make substantial changes to their eating habits and both these groups in fact were the ones that lost most weight. The media however, only cited the results that eating breakfast led to weight loss, even though this was not the conclusion that was reached. Let’s explore some of the common questions surrounding breakfast…. Does skipping breakfast actually make you eat more later in the day? This popular belief has been engrained into our thinking ever since, despite more recent studies concluding that skipping meals did not necessarily encourage over eating later in the day and can in fact be an effective way to reducing calorie intake for some. 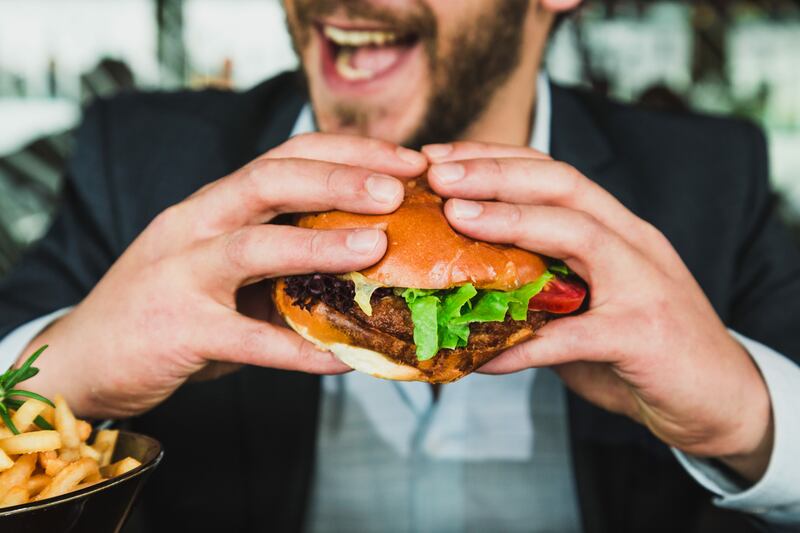 Whilst it may be the case that people feel that they are more likely to crave a sweet snack or something more palatable, if they’ve missed breakfast or that they may eat more at lunchtime, scientifically the research suggests otherwise. Most studies demonstrate that skipping breakfast results in a lower intake over the course of the whole day. Does eating breakfast “kick start” your metabolism? When you eat, your body has to digest and process this food so it is certainly the case that eating breakfast will kick start your metabolism, as these biological processes are set off. It has also been shown that meals eaten earlier in the day can result in a higher energy expenditure than those eaten later in the day. This study however, found little evidence to suggest that a lower BMI in those who ate breakfast was influenced by metabolism measures. They did however observe that breakfast eaters reported being more hungry in the mornings compared to those who skipped breakfast. But there may be other explanations for this increased metabolism? 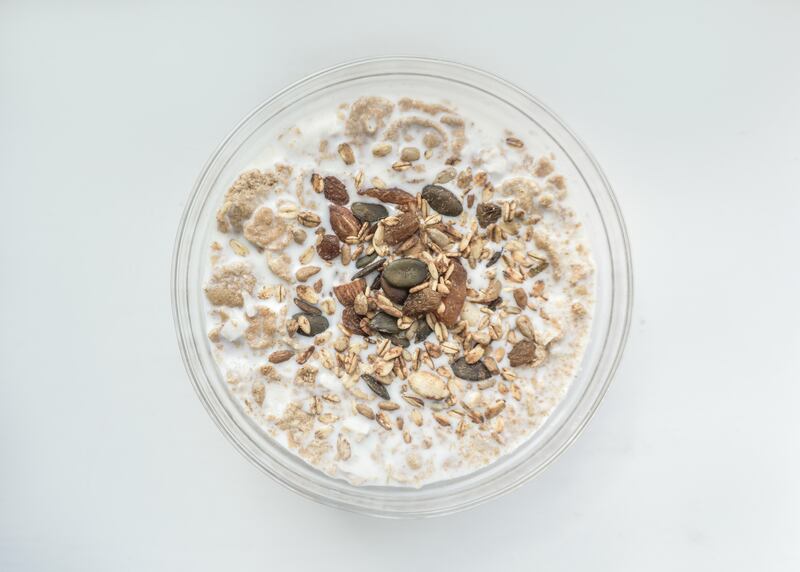 Interestingly, a study published in the American Journal of Clinical Nutrition found that those who ate breakfast were also more active, so it might be that skipping breakfast makes people feel less energetic and therefore they subconsciously reduce their physical activity as a result. In contrast, the 2014 Bath Breakfast Project in the UK did not find conclusive evidence that eating breakfast ‘boosts metabolism’ nor that eating breakfast resulted in lower food intake later in the day. Does avoiding breakfast make you gain weight? As mentioned above, any weight gain associated with skipping breakfast cannot necessarily be confirmed as the cause in itself. 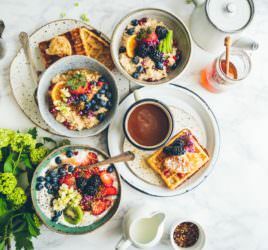 There is insufficient evidence to suggest that skipping breakfast causes weight gain, despite numerous studies which try to establish this cause and effect scenario. How about skipping breakfast and exercise? So in the absence of this morning energy source, it is worth exploring how this would affect a morning exercise routine for example? In other words, if you’ve skipped breakfast, would you still have enough energy for exercise? 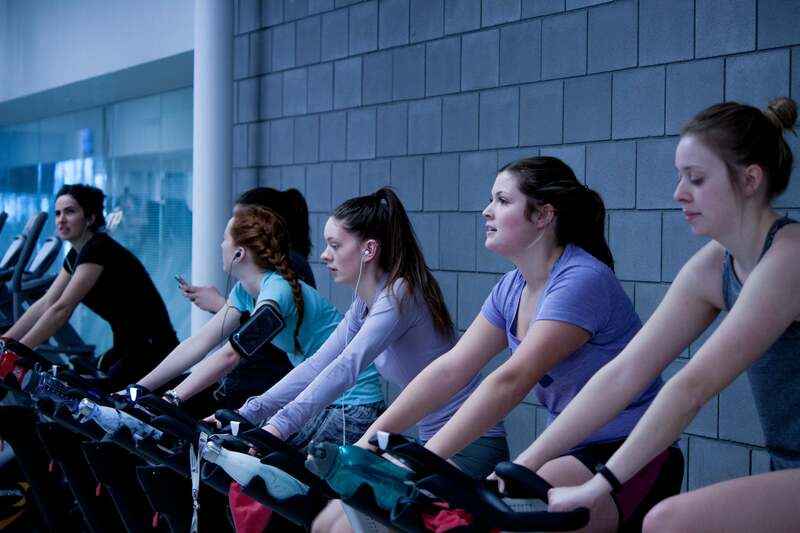 Many argue that you need to provide the body with the carbohydrates it needs before exercise. After all, carbohydrates, which are broken down into sugars (glucose) as part of the digestive process are the body’s primary source of energy. Essentially your body will not therefore be relying on the intake of glucose (in the form of any carbohydrates) for energy. In fact, the results from various studies show that exercising in a fasted state will move to fat burning as the body switches from using glucose as it’s primary fuel to using fat stores. However, for some people, this may not work as the body does not immediately adapt to this new way of eating and new fuel source. It is therefore very important to transition from a current eating pattern to Intermittent Fasting gradually, building up the time in between meals slowly; allowing your body to switch more easily. It is a question of giving your body the opportunity to reset and ultimately this will result in weight loss benefit, if you are also carefully considering your overall food choices alongside. To conclude; Is breakfast really necessary? It is clear that these findings do not necessarily answer this question conclusively. Whether you should eat breakfast or not will depend on your own individual needs, goals and lifestyle and you need to establish how breakfast actually impacts you individually. The good news is that in the absence of any conclusive scientific evidence to the contrary, if you feel good avoiding breakfast, it’s not a problem if you continue to do so regularly and over the long term. If you find that skipping breakfast has a negative impact on your mood and wellbeing, then breakfast is an important meal for you. That doesn’t mean that Intermittent Fasting is not an option for you; you can consider eating your evening meal a little earlier so you’re ready for breakfast the following morning. What does “breakfast” actually refer to? The word breakfast covers so many types of food; from low fibre, high sugar cereals to high fat and high carbohydrate full fry-ups. The type of breakfast you eventually eat, whatever time of the day, will contribute, perhaps significantly, to your overall daily energy intake. Try to avoid smoothies and juices as breakfast meal replacements. These are low in fibre and often high sugar that will not satiate in the same way that a real food meal will. Adding a good quality protein powder, or high fibre chia or flax seeds will help to boost it’s nutritive value as well as balance the sugar release. If you are participating in endurance exercise activities where performance is key, there is evidence to suggest that eating breakfast can improve this. For those who do participate in heavy exercise activities, research does show that eating a nutritious protein-rich after exercise (within an hour) will help with muscle recovery. For those with Type 2 Diabetes, eating the right breakfast will help to manage blood sugar fluctuations and skipping breakfast may cause high blood sugar. Do you eat breakfast or do you habitually skip breakfast? Perhaps you’ve started Intermittent Fasting to improve your health or lose weight. Or breakfast is your favourite meal of the day?! How does this work for you? Do share your experience in the comments below. I love my breakfast and couldn’t manage without. I have oats, fresh fruit and nuts. Delicious!